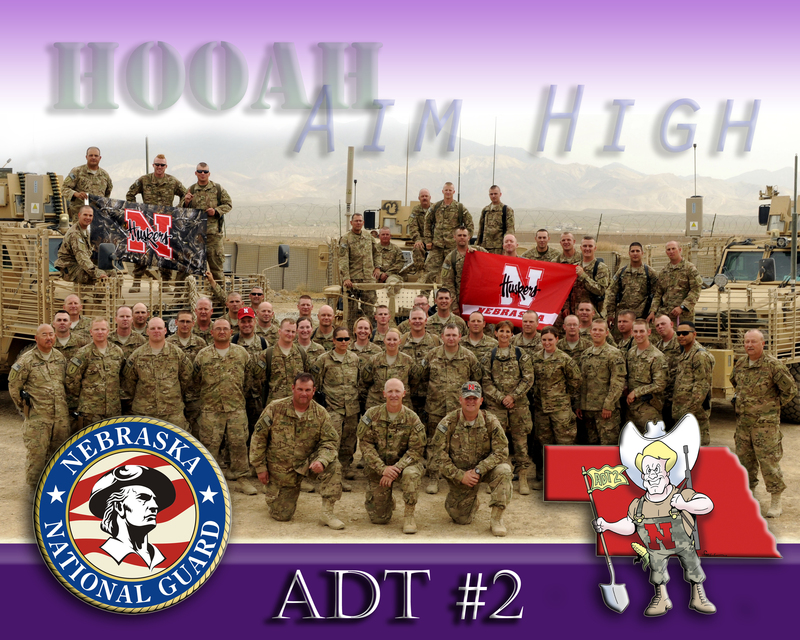 This week marked 5 months down of deployment for Nebraska Agribusiness Development Team2 (ADT2) to Afghanistan. With today being Veteran’s Day, I’m thankful for the brave men and women who have served and currently are serving our Country! All have sacrificed and some gave the ultimate sacrifice so that we may enjoy the many freedoms the U.S.A. has to offer. So often these freedoms are taken for granted; I know I take so many things for granted. We have the opportunity to worship as we choose and the freedom to write or say what we want. Because of our brave men and women fighting overseas, we don’t have to worry about war-torn towns and cities and destruction here at home. We have so many simple pleasures of life here-so much we take for granted! When talking to this team, they mentioned the people live in mud huts but are overall happy with what they have in life in spite of living in a war zone. How many of us would be happy in those circumstances? I’ve seen something going around on Facebook called “Thirty Days of Thanks”. It says, “What if you woke up today with only the things you thanked God for yesterday?” That’s a sobering thought and a good reminder of how often I should count my blessings and be thankful! I hadn’t started the 30 Days of Thanks but will start today. Day 1: Thank you to all of our soldiers serving our country! I especially thank my husband and all the ADT2 soldiers, my father-in-law, brother-in-law, grandpa, uncle, cousins, and many friends who have and are currently serving our country! Thank you for your sacrifices that I might live in a free country-still the greatest country in the world! God bless all of our soldiers and their families and God bless the U.S.A.! Posted on November 11, 2011, in Military, Reflections and tagged 30 days of thanks, National Guard, Reflections, Veterans Day. Bookmark the permalink. Leave a comment.